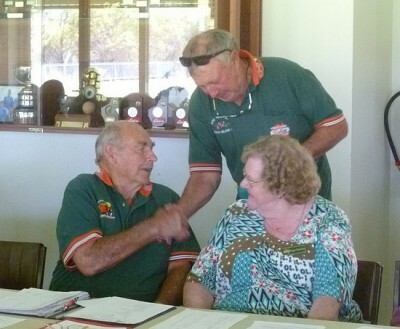 The 2015 AGM was held at the Brookton Country Club on Saturday, 14th February 2015. 39 people attended, including two visitors. Neville and Jenny Thompson as well as Allan and Nicolette Moss attended from the Eastern States Branch. This was an opportunity to discuss the upcoming trek to Alice Springs starting on August 5th at Kondinin. Preliminary discussions were also held about the proposed 2016 Savannah Way Trek with several members indicating their interest. The Election of Office Bearers for 2015 resulted in Ron Bywaters being declared the Club President for the year and Kerry Bywaters was re-elected to the Secretary/Treasurer position. Hugh ‘Cumber’ Campbell presented special ’15 Year Member’ name badges to those present who qualified. The ‘Tail End Charlie’ Award was presented to Allan Moss from Tamworth in recognition of his ongoing support and invaluable assistance on treks. 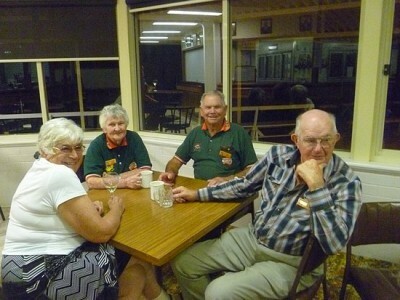 The Brookton Country Club catered a very enjoyable dinner and members enjoyed a social evening.